A Grandmother's love is never ending. She enjoys each precious moment with her grandchildren & family. 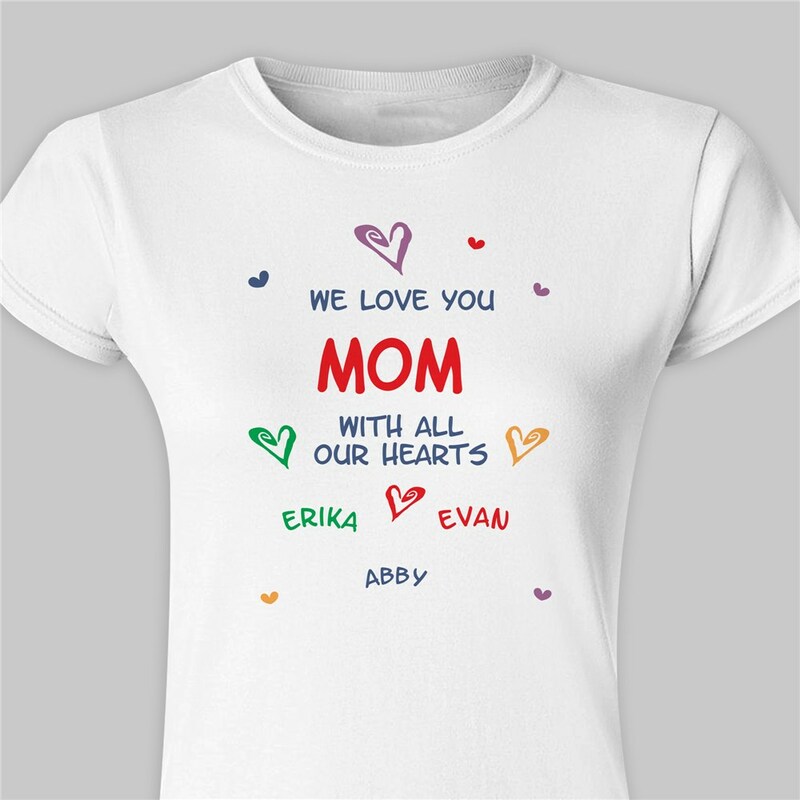 Give her this lovely Personalized Womens Fitted T-shirt to elegantly display the many little hearts which love her each and every day. 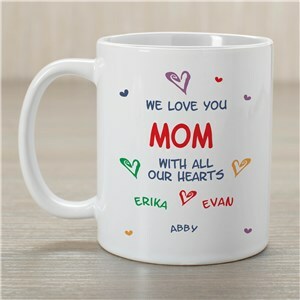 This Personalized Mother's Day Shirt is available on our premium 100% softstyle cotton Personalized Women's T-Shirt, machine washable in adult sizes S-2XL. Shirt is 4.5 oz , pre-shrunk, double-needle stitched sleeve and bottom hemmed. 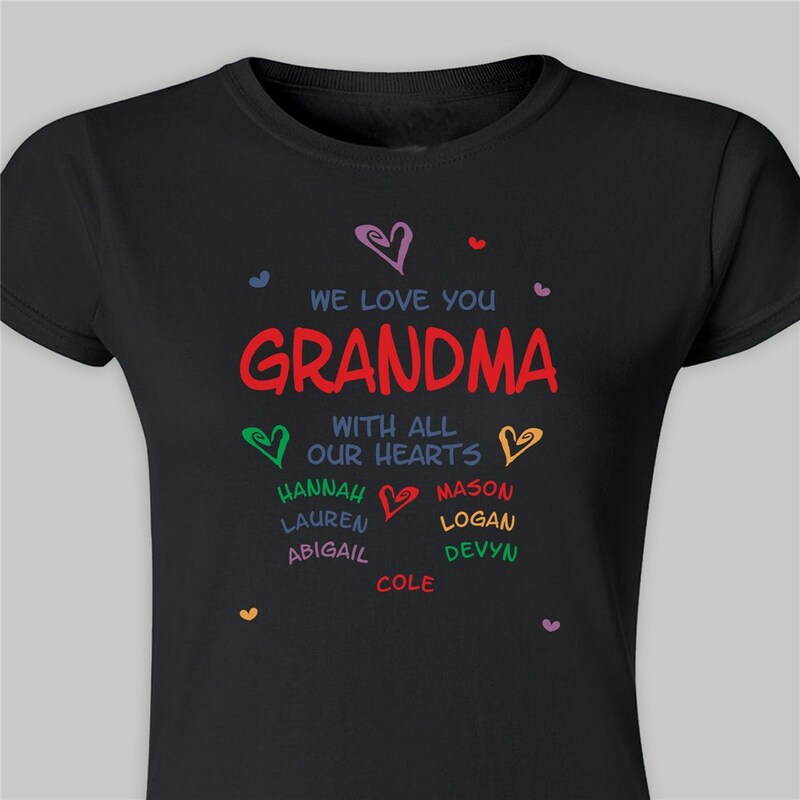 All Our Hearts shirt design includes FREE personalization with any title like Mom, Grandma, Nana, you choose and up to 30 children's names. Shirt includes printing of We Love You With All Our Hearts and hearts printed in various primary colors. I was skeptical of how the color would work as the preview would not come up for it. It came out great and the material is nice and soft. Once again the print is great, it's just that the large is really large.